South African police fired tear gas at protesting miners who have been on strike since August over demands for higher wages. Talks to end the strike collapsed this week. Earlier in the day, police raided workers’ shacks and seized weapons. 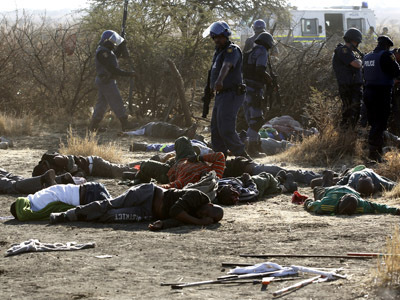 ­Police fired rubber bullets and tear gas to disperse strikers at the Marikana mine, in response to mounting unrest in the area. Protesters threw stones at the officers and burned car tires. That morning, police raided shacks of the striking workers, arresting five people and seizing weapons like spears and machetes. According to police, the workers were arrested on separate charges of dealing drugs. 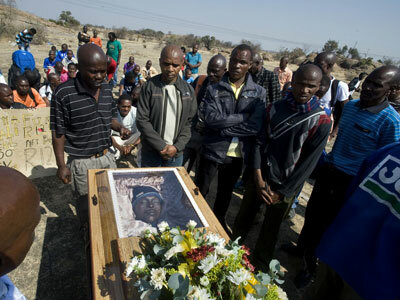 ­Police shot and killed 34 miners during a strike at the mine in August. So far, 45 people have been killed in violence connected to the strike. 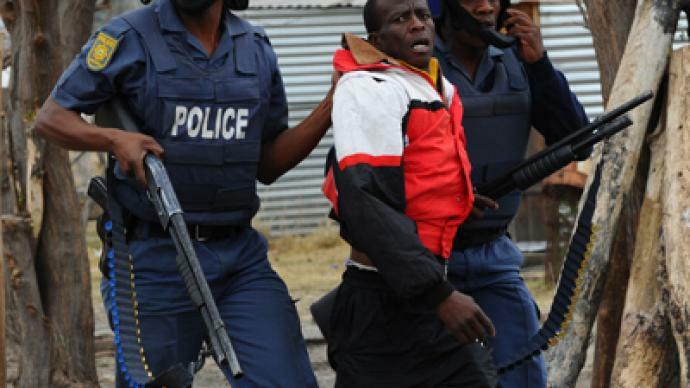 “Five hundred [officers] intervened at 2:00 am [12:00 GMT] in an area with hostels where about 600 miners are residing around Marikana,” regional police spokesperson Thulani Ngubane told AFP. ­The crackdown came in the wake of a Friday announcement that the government is stepping up its security efforts to quell unrest at the platinum mines of the northwest town of Rustenburg. “Illegal gatherings, the carrying of dangerous weapons, incitement as well as threats of violence against anyone in the affected areas will be dealt with accordingly,” Justice Minister Jeff Radebe said. 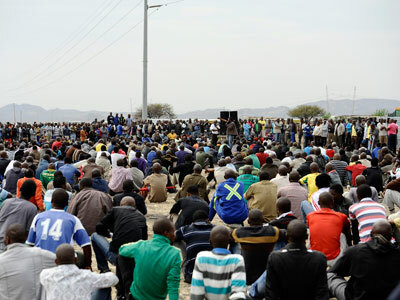 Strikes began last month over wage disputes between the workers and mine manager Lonmin, the world’s third biggest producer of platinum. The miners' demands included a pay hike to over $1,000 a month. 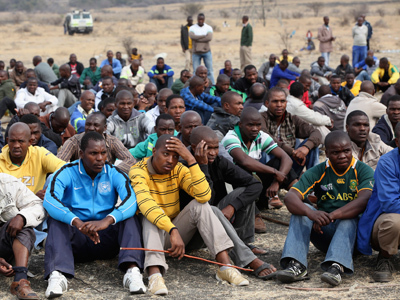 ­Lonmin increased its pay concession on Friday, but it was still short of the miners' demands; they rejected the offer. 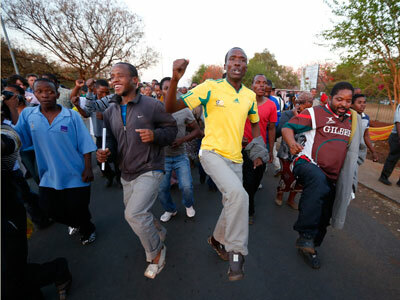 The protest has since spread to the country's gold industry, with 15,000 gold miners on strike since Sunday. Mining is central to South Africa’s economy – the industry employs some 500,000 people and makes up half of the country’s exports, accounting for around one-fifth of the gross domestic product.